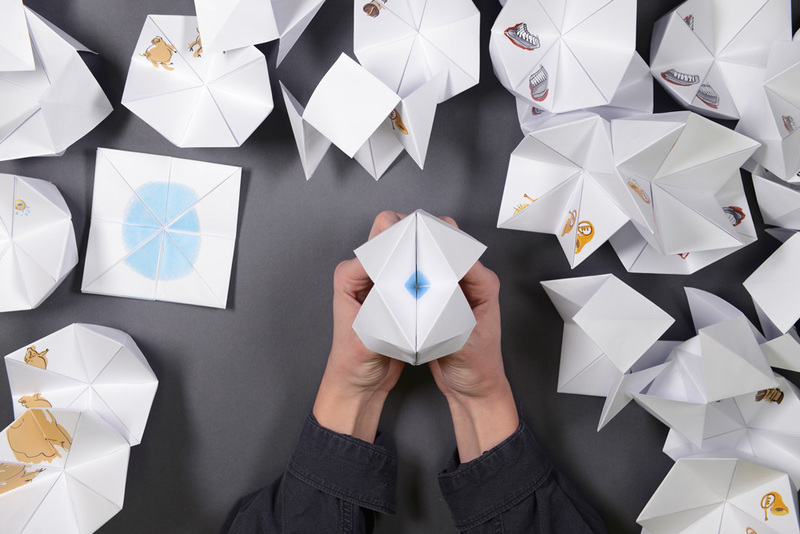 Paper Pastime is a short expanded animation film created with 48 paper fortune tellers. 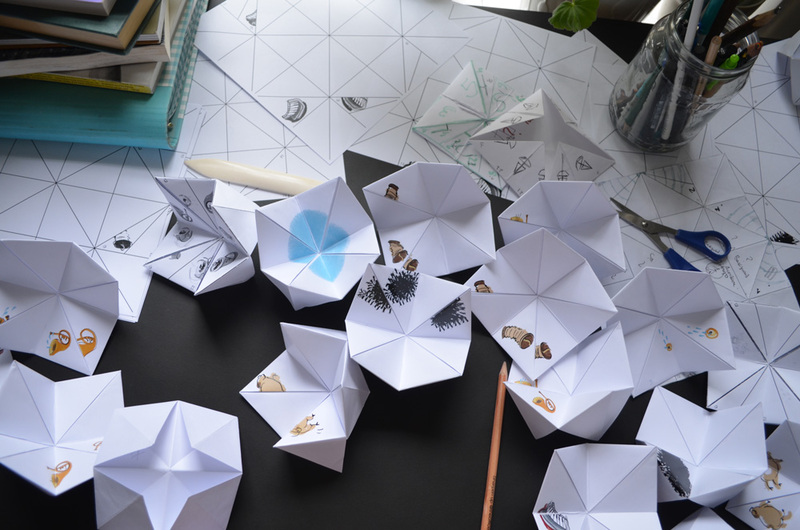 It is inspired by children’s games, school memories, and music in collaboration with The Barbican Box project and London College of Communication. 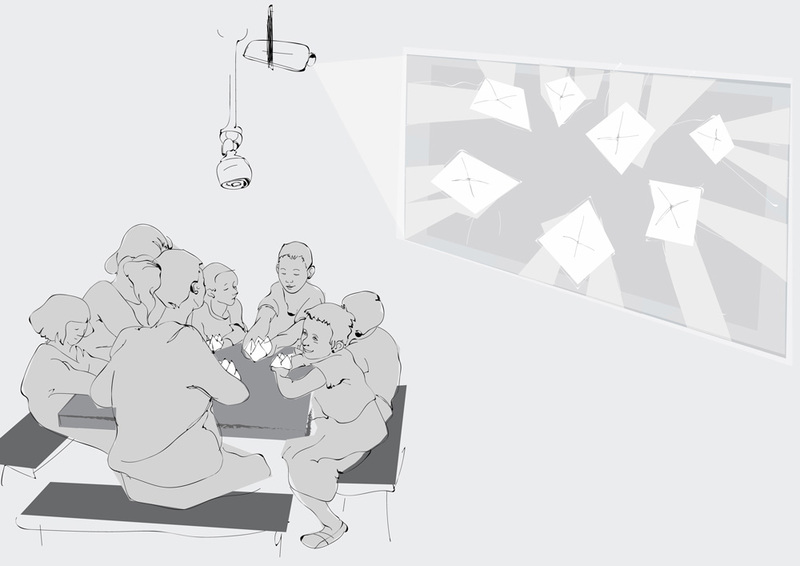 It is a piece of expanded animation that allows anyone to participate and create mini-stories as a group while playing a paper game. It is intended to bring animation to people who have never explored animation before, making them discover the simplicity or movement in a fun and creative way.